Join us this week as we address three essential marketing components: brand identity, channels of traction, and PR. Our expert speakers will help you learn how to best tell your story. Last Wednesday, Entrepreneurship 101 took place on Bell Let’s Talk Day—a day to recognize the stigma and silence around mental health issues across Canada. 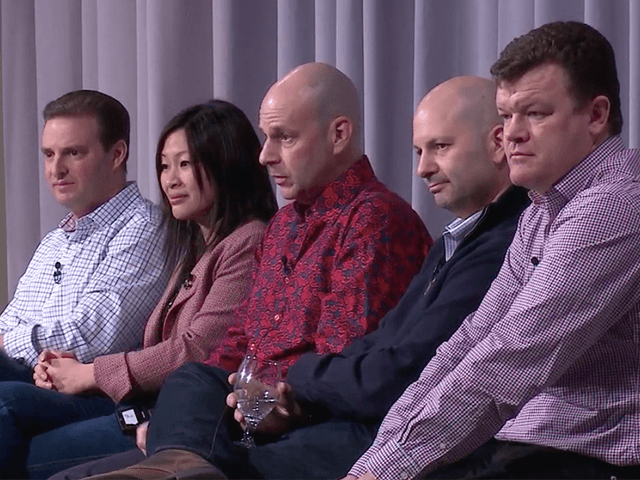 The panel of four successful tech entrepreneurs discussed the “highs and lows” of their own professional journeys and how they handle the pressure of launching and running a company. They also shared advice on making key decisions in the early stages of a business, and pointed to the importance geography plays. Cian O’Sullivan, Top Dog and Founder of Beagle Inc. Entrepreneurship comes with a responsibility to take care of your team, your stakeholders and yourself. Panelists reflected on the sacrifices they had to make in their own pursuits, highlighting the need for strong professional and personal support systems. Between designing a minimum viable product (MVP) and managing teams, cap tables, investors and a number of other interrelated factors, the early balancing act of an entrepreneur is often critical to the sustainability and success of the company. Eva recalled Borrowell’s early days of bootstrapping when they ran into a recurring issue of raising enough angel and seed level support, but having limited resources for post-seed funding. Other panelists agreed that the lack of Series A funding opportunities can be limited in Toronto (though this has improved in recent years). When funding is tight but you need to sustain a highly competent core team, how do you manage to pay team members and divide the company in a way that is both fair to everyone and still financially strategic? Jamie mentioned transparency and generosity as key driving factors for this process, adding that the fear of diluting one’s company can be an impediment to finding the right partners that are willing to commit. Numerous audience members asked the panelists about their approach to raising funds. Cian noted that making bigger asks—that is, asking investors to commit to larger amounts, but not necessarily paying all of it upfront—will ultimately save the entrepreneur the time and energy of raising funds again down the road. Location is another key element to the journey. For an early entrepreneur, the alluring vision of the Valley can be distorted and distracting, and Eva recognized that ultimately, it made more sense for Borrowell to be situated with its customer base here in Canada. Ben asserted that “Toronto seems to be the best place in the world to build a company.” Having travelled around the world, he recognizes that every major city has its unique and positive qualities. However, Ben finds that the level of access to talent, the relative affordability and the potential to differentiate oneself as an entrepreneur are standout qualities of Toronto in particular. Our panel of entrepreneurs had lots more to say! Check out the full discussion in the videos below. And search “Entrepreneurship 101” on iTunes U.